4 Piece Spin & Cast Rods. These spin rods feature the ultimate in finesse blanks, providing extra fast action and amazing sensitivity, and are fitted with Fuji Titanium SIC guides. 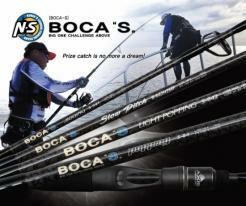 A large range of quality spin and cast rods designed for Australia. Starting at $150 retail. Light jigging rods designed in Australia for jigging metals. 3 Spin and 7 Cast models featuring Fuji K guides and reel seat with the cork and eva grips. Performance fishing polo, designed to keep you cool and protected from the sun. 2017 build upgrade. Designed specifically for squid fishing, they offer excellent casting distance, sensitivity and durability in a high modulus 2 piece blank. 7', 7'6", 8'3" & 9'. NEW! Available in Jigging, Slow Pitch Jigging, Popping and Light Popping! 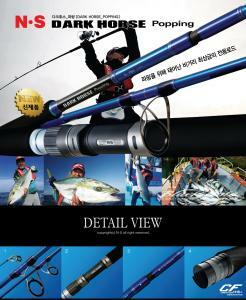 The ultimate rods for pelagic fishing! NEW! BOCA = Big One Challenge Above. A series of premium Popping, Jigging & Slow Jigging rods which feature the latest in rod blank development with 8-axis carbon and NANO carbon cloth. Truly amazing rods! Available in 6 spin rods the Cabin II series feature Fuji K Series guides, Fuji VSS reel seats, 2 piece blanks and EVA grips. Designed for casting distance, sensitivity and power. Highly sensitive blanks with great casting power an fish fighting control. 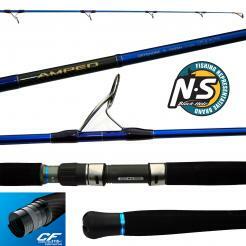 Available in spin and cast rods designed for Bass! 3 spin rods designed for squid fishing featuring Fuji K guides, custom split grip handles, 2 piece crisp well balanced blanks. Powerful 9'6" spin rod, ideal for throwing metals off the rocks for salmon and tailor. Ultralight 2-piece rods designed specifically for trout fishing where finesse and accuracy are essential. Available in 3 spin rods these rods feature Fuji K series guides, Fuji VSS reel seat, AAA grade cork handles, feather light 2 piece blanks and fast actions.